I’m back, as promised! As mentioned in my previous post, Savage Garden has two albums, ‘Savage Garden’ and ‘Affirmation’. They have a third album with all their songs together on one CD called, ‘Truly Madly Completely’. Here’s a quick review of the first two albums. Released on March 4, 1997, this album sold more than 16 million copies worldwide. It debuted at #1 on the ARIA charts for 6 weeks. If you happen to buy the album, you MUST listen to their signature songs, ‘To the Moon and Back’, ‘I Want You’ and ‘Truly Madly Deeply’. As with all other songs on the album, these three songs are by far the most popular ones. With a catchy tune and romantic lyrics, these songs will definitely make any Valentine’s Day dinner a very special occasion. Rating: 8.5/10. Following the success of their debut album, they released another album two years later. The MUST listen songs on this album include, ‘Affirmation’, ‘I Knew I Loved You’ and ‘Crash and Burn’. ‘Affirmation’ has meaningful lyrics, so meaningful that Savage Garden was asked to perform the song live during the 2000 Sydney Olympics. ‘I Knew I Loved You’ and ‘Crash and Burn’ covers pretty much the same scope as the previous songs, ‘Truly Madly Deeply’ and ‘To The Moon and Back’ respectively. All the other songs on this album are catchy as well, with meaningful lyrics that will definitely make you reflect about your life and make comparisons. Rating: 8/10. In all, Savage Garden did a marvellous job in appealing to Australian music critics and music enthusiasts. Too bad the band broke up too early. Hope they will reunite sometime in the near future. So here I am, being a guest blogger on my friend’s blog. When it comes to blogging about Savage Garden, I am, of course, the best person to be chosen to do it. 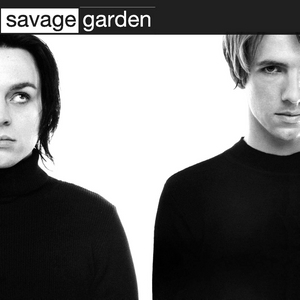 Savage Garden began in 1997, when I was in year 3. I didn’t know about them until I was in year 6. From that time onwards, I became a huge fan. Well, when Savage Garden is mentioned, people will immediately relate them to their best-selling songs, ‘Truly Madly Deeply’ and/or ‘To the Moon and Back’. Little did they know that Savage Garden’s first album, ‘Savage Garden’, picked up 8 ARIAs in 1997 and also won a variety of awards internationally. Savage Garden is by far, the most successful Australian band thus far. The album mostly encompasses the theme of love, made comparable to the natural environment and situations we see in everyday life. It explains how love can be so hard to resist and the passion in which we love will draw us to do things beyond our wildest dreams. Unfortunately, the band broke up in 2001, with Darren Hayes starting his own solo music career. Darren’s songs still cover pretty much the same themes as Savage Garden, but with a much more modern musical genre. I’ll probably review the album next time.